Jay Alexander 09/05/12 - I'm on the left and Dorsey Brown is on the right. March 20, 2005 -- Sandy Cochran writing -- Right of counselor is my brother, Ted Cochran. 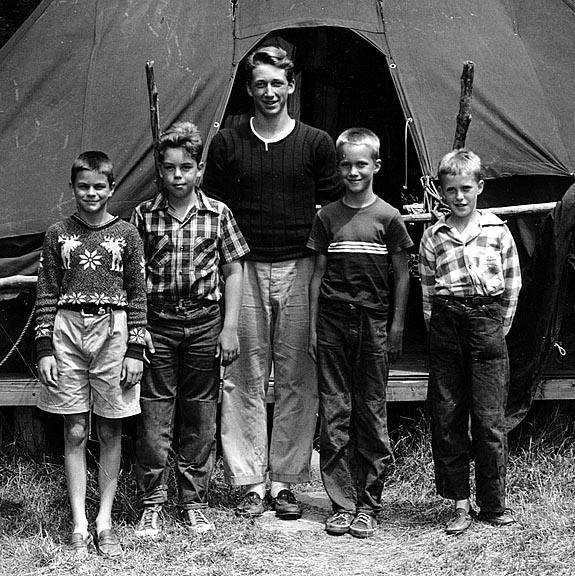 Left to right: Jay Alexander, _______, _______,Ted Cochran, Dorsey Brown.